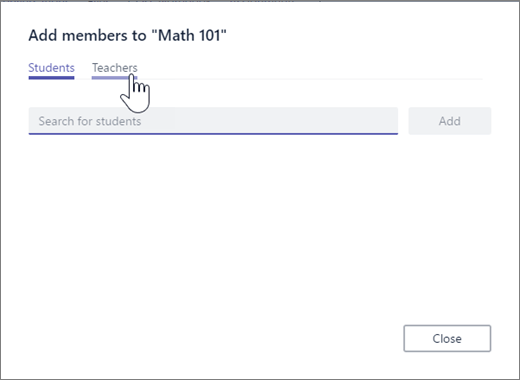 Navigate to the class team you’d like to add to. 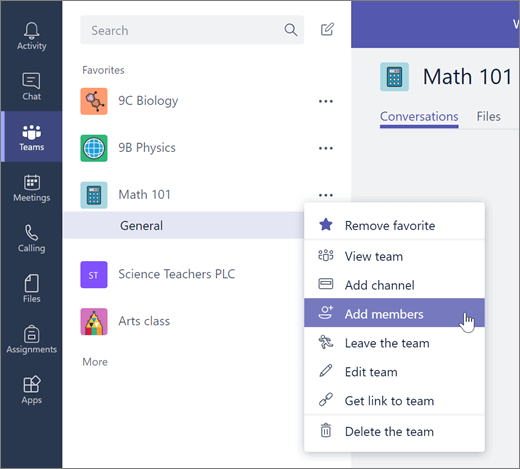 Select More options next to your class team, then select Add members. 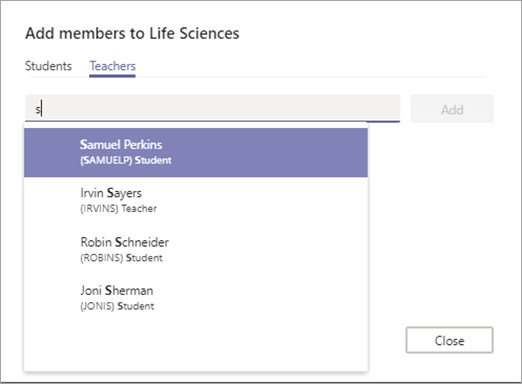 Type in the teacher’s name or email and then select Add. The teacher is immediately added to the class team as an Owner. Select Close to return to teams.